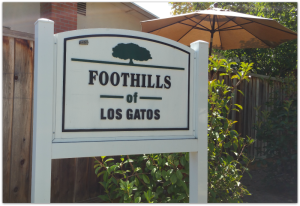 If you’ve ever driven Knowles Drive near El Camino Hospital of Los Gatos, you’ve likely passed a small sign announcing a nearly hidden neighborhood named Foothills of Los Gatos. What’s not evident from the busier road is that this is a tidy duplex community along Dardanelli Lane and Vasona Court, offering more affordable housing than most parts of town, yet close to major traffic routes, making for an easier commute. As is always the case, location is the most important factor in this area’s allure. 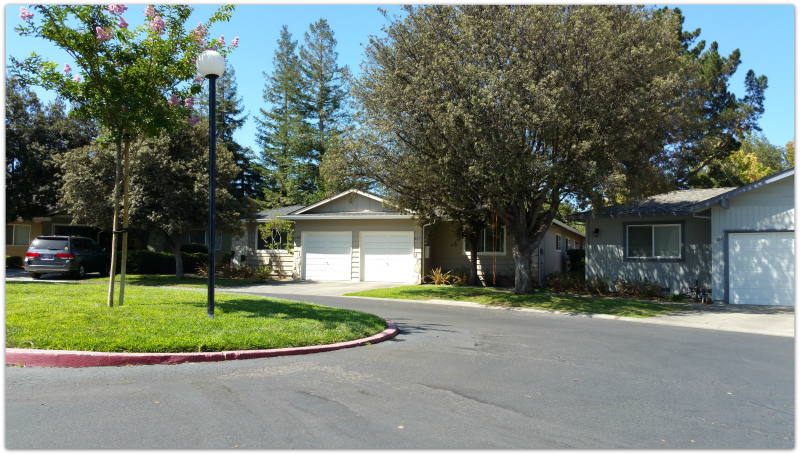 Foothills of Los Gatos is an easy stroll or bike ride to Netflix and also El Camino Hospital of Los Gatos and the many medical offices which are adjacent to it. 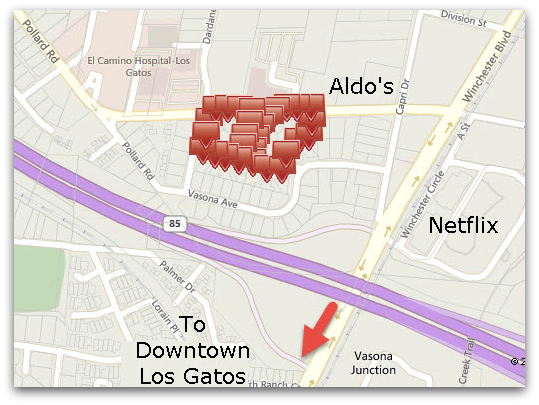 Equally close is Aldo’s Restaurant (delicious, Italian food) and several other shops and restaurants in the same shopping center, Vasona Station, including the Purple Onion. Wouldn’t it be nice to not need your car? But if you don’t mind, downtown Los Gatos is a straight shot down Winchester Blvd, which becomes North Santa Cruz Avenue. For commuters, this is a great location too. It’s easy to go north on highway 85, and to return at the same spot along Winchester (unfortunately it is not a “full interchange”). Need 17 / 880? Easy, you can either go south about 1 mile to Lark Avenue to pick it up or you can go north about 2 miles to Camden / San Tomas to enter. There are 28 single story duplexes, so 56 residences, built in 1967 on private roads with guest parking spots. 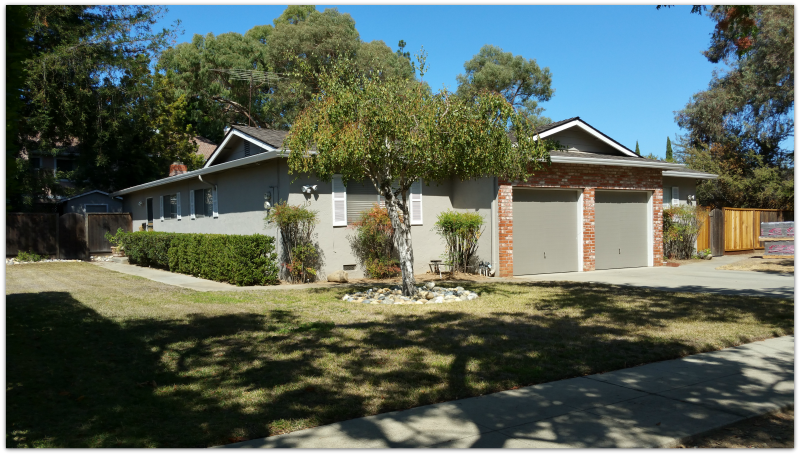 All of them enjoy front and back yards and an attached one car garage and a driveway that usually can accomodate another car. Each building has the same layout with a total of 2416 SF, so around 1200 SF per side. I believe that each unit has 2 bedrooms + den (think bedroom without a closet), living room with a fireplace, formal dining area off the living room, galley kitchen, and 1.5 to 2 bathrooms. The lots are impressive: 9800 SF (for both units). The large amount of landscaping makes this area feel very inviting and uncrowded, especially as compared to some townhome communities where there’s very little greenery between the driveways and the homes. Low turnover, cost to buy? Real estate inventory is low everywhere, this neighborhood included. The last recorded sales were in 2010 and 2011, all in the $700s. Expect to pay considerably more should one become available today! Other similarly sized duplexes sold in the last year on Pinehurst (great location for schools and shopping) and Highland Oaks have sold in the range of $1.4 mil to $1.5 mil. These 56 units are not the only duplex homes in that area. There are more along Vasona Avenue. This area is a “through street” so will have more traffic and it is closer to Highway 85, so also will have more noise. Even so, they are nice looking duplexes which enjoy the same great proximity, so should one become available, it would definitely be worth checking out. I first got to know this neighborhood in the late 1990s. My mom had died, my dad wanted to sell their large home in Saratoga (4000 SF on 1.5 acres was too much for a widower) and did not want to buy again – despite his Realtor daughter’s pleadings that real estate was a good investment. So rent he did, and I helped him to find a very reasonably priced, updated and comfortable duplex rental home there with 2 bedrooms, a den, 2 bathrooms, and a small back patio so that he could continue to barbecue. There was plenty of space for my siblings or old friends to stay when they came to visit and for my dad to continue enjoying his home office for his law practice, and a neighborhood pool to enjoy as well at that time (as I recall) – I believe it is now gone, though, as recent listings on the MLS do not mention it. The area was quiet, well tended, with plenty of guest parking, and the residents seemed friendly. He was happy living there until he needed to give up driving and move to a senior community. It was a good place for him.